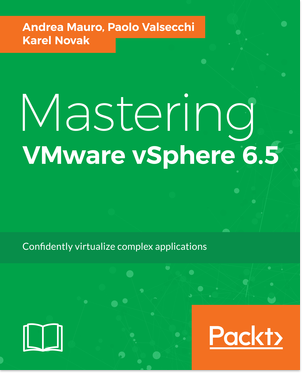 After the definition of VMware certification roadmap v6 and the VMware certifications upgrade rules there are some new (little) changes. 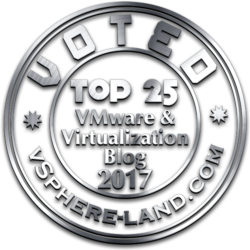 Based upon the feedback that VMware has received from the users, they have decided to update the structure of our advanced credentials. Nothing new and just a way to have (probably) a better name. 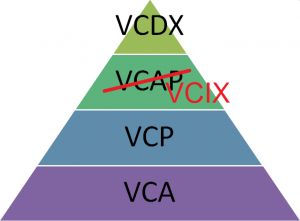 The original plan was to retire the VMware Certified Advanced Professional (VCAP) certification altogether and have a single (for each path) VCIX certification (like was with the NV path). Because both Design and Deployment skills are critical, VMware goal is to get as many people as possible to upgrade to the VCIX level. 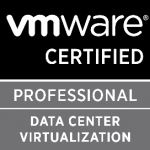 For that reason, VMware’s Design and Deploy training courses will cover both skills, the VCIX6 certification will be the prerequisite to becoming a VMware Certified Design Expert (VCDX), and special benefits will be awarded to those who achieve VCIX6 certification. In my opinion is not necessary a good idea because can make more confusion, but from candidates point of view you can reach more certificates and each steps (at the advanced level) will bring some kind of certificate. 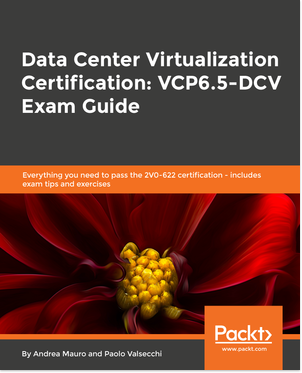 VMware VCAP6 Exams Are Back!